Who doesn't like dumplings? Yummmy. Here in Los Angeles (the home of WonderHowTo) resides Din Tai Fung, a world renown Chinese dumpling house with locations in Taiwan, China, Singapore, Indonesia, Japan, and Korea. Patrons have been known to wait hours for their dumplings, which are in one word, perfect. Soft, juicy, piping hot. A group of men can be seen making the dumplings fresh, daily, through glass windows in an extension of the restaurant kitchen (pictured above). If you're in the L.A. area and you haven't sampled Din Tai Fung's world famous dumplings, you must. Delicious. 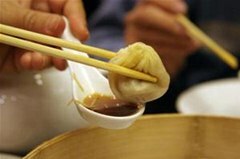 What makes the dumplings so incredible? Perhaps the fact that they are freshly made is a good start. I'm inspired to try-it-myself. 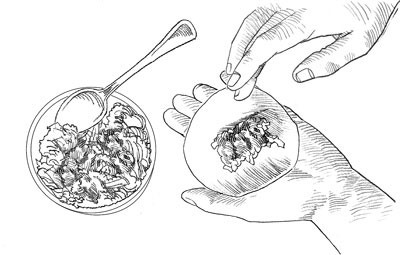 ...place a tablespoon or so of filling in the center and moisten the wrapper's edge with water.? ...to form a half-moon shape that's open at both ends.? 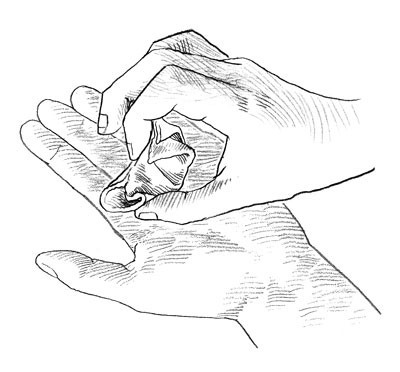 ...use the thumb and forefinger of your other hand to grip a single edge of the wrapper near one corner of the dumpling. 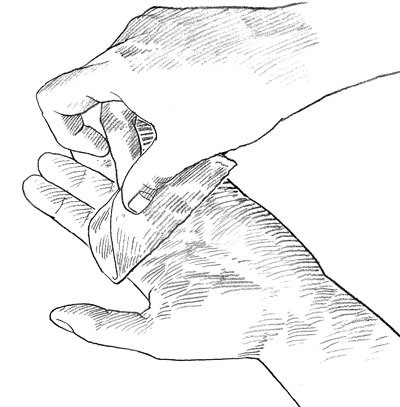 Fold the edge of the wrapper inward, about halfway toward dumpling's center; pinch the fold firmly closed to form a pleat, leaving the end of dumpling open. 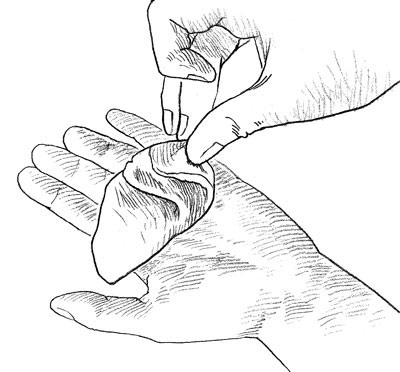 Continue to work on same side of dumpling to form a second pleat; then seal that end of dumpling by folding the corner toward you and pinching it shut, creating a third pleat.? Step 4 Repeat step 3 to create three identical pleats on the dumpling's opposite side. See more Chinese dumpling recipes on WonderHowTo.